White Diamond Clearcoat 2015 GMC Yukon Denali 4WD 8-Speed Automatic EcoTec3 6.2L V8 **3 MONTH 3,000 MILE EXCLUSIONARY WARRANTY**, *ONE OWNER*, *NEW OIL & FILTER CHANGE*, *USB / AUX INPUTS TO PLAY MUSIC*, *BLUETOOTH, HANDS-FREE*, *GPS NAVIGATION W/ BACKUP CAMERA*, *GPS NAVIGATION*, *BACKUP CAMERA*, *LEATHER SEATS*, *HEATED & VENTILATED LEATHER SEATS*, *HEATED FRONT SEATS*, *SUNROOF / MOONROOF*, *3RD ROW SEATS*, *REAR ENTERTAINMENT SYSTEM*, *PREMIUM WHEELS*, *TOW PACKAGE*, *TRAILER HITCH*, *REMOTE STARTER*, *NON SMOKER*, *RUNNING BOARDS*, 4WD, 10 Speakers, 4-Wheel Disc Brakes, 5 Auxiliary 12-volt Power Outlets, ABS brakes, Adjustable pedals, Air Conditioning, AM/FM radio: SiriusXM, Auto-dimming door mirrors, Auto-dimming Rear-View mirror, Automatic temperature control, Black Assist Steps w/Chrome Strip, Blind Spot Sensor, Bodyside moldings, Bose Centerpoint Surround Sound 10 Speaker System, Brake assist, Bumpers: body-color, CD player, Color-Keyed Heated Leather-Wrapped Steering Wheel, Compass, Delay-off headlights, Driver Alert Package, Driver door bin, Driver vanity mirror, Dual front impact airbags, Dual front side impact airbags, Electronic Stability Control, Emergency communication system, Exterior Parking Camera Rear, Front anti-roll bar, Front dual zone A/C, Front fog lights, Front wheel independent suspension, Fully automatic headlights, Hands Free Power Liftgate, Heated door mirrors, High-Intensity Discharge Headlights, Illuminated entry, Inside Rear-View Auto-Dimming Mirror, License Plate Front Mounting Package, Low tire pressure warning, Magnetic Ride Control Suspension Package, Memory Package, Memory seat, MP3 decoder, Navigation System, Occupant sensing airbag, OnStar w/4G LTE, Open Road Package, Overhead airbag, Panic alarm, Passenger vanity mirror, Passive Entry System, Pedal memory, Power door mirrors, Power driver seat, Power Liftgate, Power steering, Power Tilt & Telescopic Steering Column, Power Tilt-Sliding Sunroof w/Express-Open/Close, Power windows, Power-Adjustable Pedals For Accelerator & Brake, Preferred Equipment Group 5SA, Premium audio system: IntelliLink, Push Button Keyless Start, Radio: AM/FM/SiriusXM/HD w/Navigation, Rear air conditioning, Rear anti-roll bar, Rear Cross-Traffic Alert, Rear reading lights, Rear Seat Blu-Ray/DVD Entertainment System, Rear window defroster, Remote keyless entry, Roof rack: rails only, Security system, Side Blind Zone Alert w/Lane Change Alert, Speed control, Speed-sensing steering, Spoiler, Steering wheel memory, Steering wheel mounted audio controls, Tachometer, Telescoping steering wheel, Tilt steering wheel, Traction control, Trip computer, Turn signal indicator mirrors, Universal Home Remote. 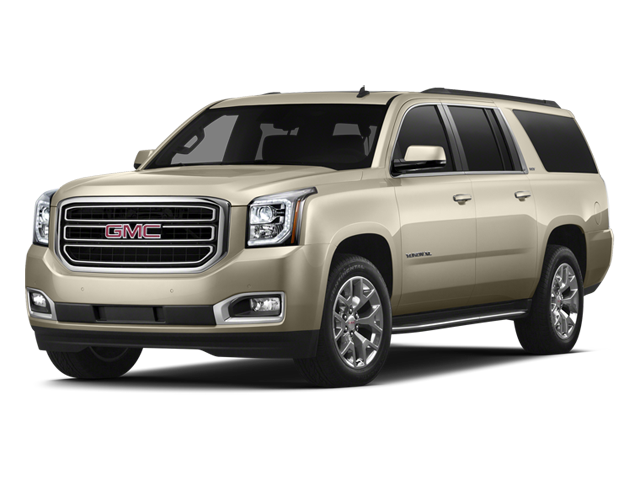 Hello, I would like more information about the 2015 GMC Yukon, stock# 12131. I would like test drive the 2015 GMC Yukon, stock# 12131. Please text me about this 2015 GMC Yukon (1GKS2CKJ9FR641473).